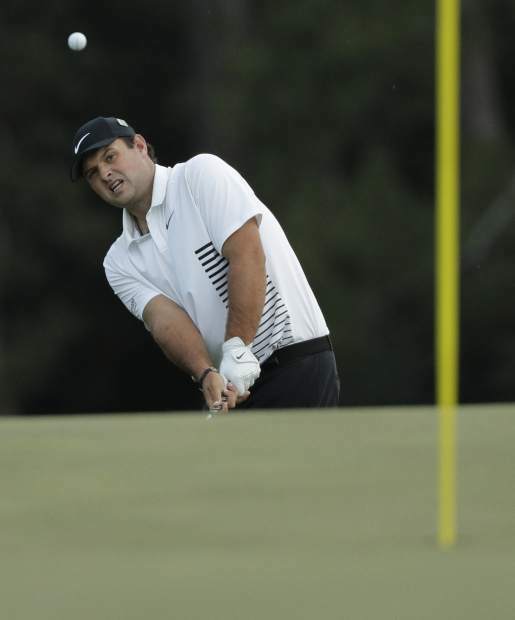 Patrick Reed chips to the 18th hole during Friday's second round at the Masters. Woods made bogey on the opening hole with a sand wedge from the fairway. He really came undone when his second shot to the fifth bounded over the green and into a grove of magnolia trees. He took a penalty drop to clear room through the branches, put that in the bunker and made double bogey. Very little went right except for a pair of birdies on the par 5s on the back nine. Looking at the white leaderboards only made him feel worse. The cut is for the top 50 and ties and anyone within 10 shots of the lead. Woods kept seeing Reed make birdies, and he knew he was well outside the 10 shots. “I was hoping to keep it within 10. I didn’t know what my position was, but I think I’m in,” he said after his round.